In an effort to improve the efficiency of services to foreign passengers at the airports, the Tanzania Ministry of Transport has announced plans to provide the Tanzania Airport Authority (TAA) staff with international language training. According to Immaculate Ngwale, Director of Human Resources with the Ministry of Transport, following a successful completion of a six-month Chinese language course by 30 TAA staff at the Confucius Institute of the University of Dar es Salaam (UDSM), the Ministry is prepared to offer staff the opportunity to learn French and Spanish. “We are planning to provide them with an opportunity to learn French and Spanish languages because we have been receiving a good number of the two language speakers,” she said at the closing of Chinese language program. 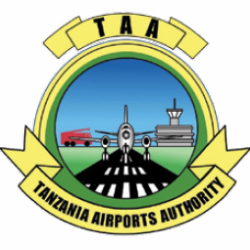 The Airports Authority of Tanzania was first begun in 1974 as a division under the Department of Roads and Airports Authority in the Ministry of Works and became a full department in 1980 with the establishment and inauguration of the TAA in 1999. Today, Paul Rwegasha is serving as the acting Director General for the TAA and has expressed gratitude to the Ministry for the opportunity to provided much-needed training to the TAA staff. “This will help our staff to communicate in more international languages, thus strengthening our operations,” he said.